Buy on iTunes! Buy on Google Play! One year has passed since DJ Mr. E aka „The German Luger“ of RPS Fam dropped the anniversary edition of his „We Run This“ series. After 11 editions, Mr. E’s „We Run This“ series has been a huge success and featured some of the biggest artists in HipHop such as T.I., Mobb Deep, The L.O.X., Talib Kweli, B.O.B., Ace Hood, Iggy Azalea and many more. 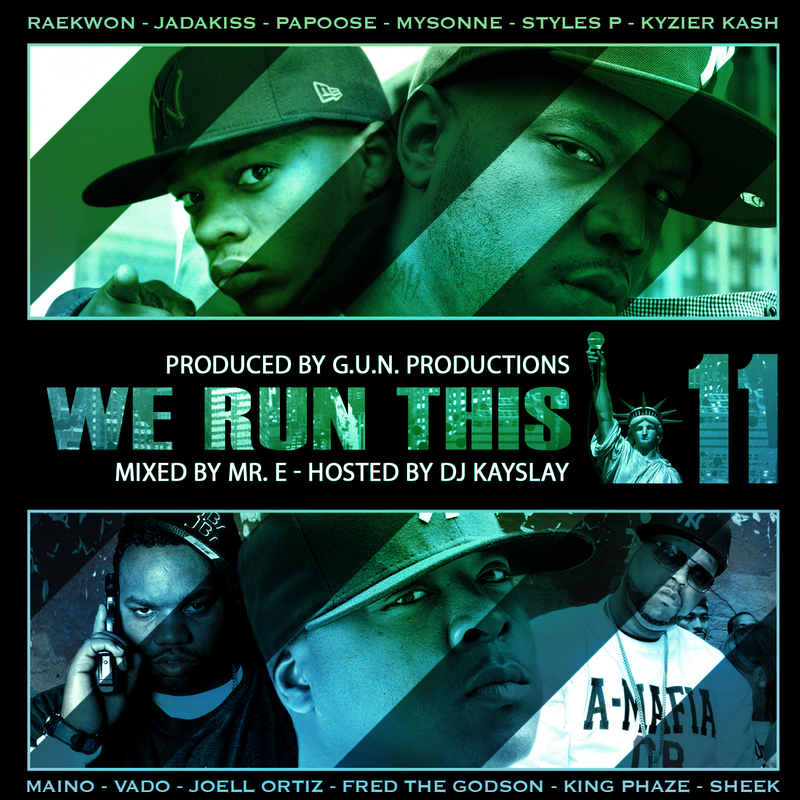 Now he’s back to give you another installment, the anticipated „We Run This Vol. 11“. This time he teamed up with Hip-Hop producer G.U.N. Productions from Germany, who‘s been making a lot of noise in the New York music scene. After grinding in NYC and studio sessions with legends like Raekwon the Chef, he been getting consistent radio play on stations like Hot 97 and Power 105.1 over the last couple of years. His music was also featured on MTV and the 2013 NFL Honors. „We Run This Vol. 11“ provides you with ill rhymes and original East Coast production to take you on a ride through the 5 boroughs. The new mixtape compilation, which is hosted by Hip-Hop legend DJ Kay Slay and entirely produced by G.U.N. Productions, features an All-Star line-up of East Coast MCs such as Jadakiss, Styles P, Raekwon, Joell Ortiz, Papoose, Vado, Fred The Godson, Sheek Louch and many more to give you vicious bars over banging beats! The project contains 27 records, including unreleased material as well as 3 exclusive Instrumentals by G.U.N. Productions for all the up- and coming MCs out there. Mr. E keeps it live on the ones and twos as usual, transitioning the songs through cuts, scratches, drops and skits in theme with the music, which makes this project a great body of work that gives you a unique listening experience. It’s available on iTunes, Amazon and Spotify. Get your copy now!